Slimming World Diary: Christmas Break .. I hope you all had a very Merry Christmas and you're going to have a great New Year. 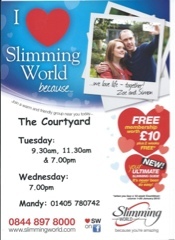 I've just had a Christmas break from the blog and from Slimming World, but now I am back on it. Blog and Slimming World! I gave myself the break because I knew I had so many things in the house I wanted to eat, from Pringles and chocolate, to my favourite slices of pie. I wanted to completely indulge and enjoy my Christmas so I gave myself a deadline, and the deadline is today. It ends now, I'm back on it! It's 100% that I have gained, haha, but I am okay with this, I have come to terms with it. It was Christmas, it's going to be hard to lose any weight at Christmas. I think sometimes you just need a break from dieting sometimes, sometimes it can be a bit monotonous. So Christmas is a great opportunity for this. We are back at group this Sunday evening and whatever the scales say I'll be happy, I have now drawn a line under it and I am starting a fresh. I've set a new goal in sight. At the start of June next year some friends and I are going on a week away to Bulgaria so for then I would like a whole new wardrobe of summer clothes preferably in a size smaller than I am now and also I would like to be 11.5 stone! Right now I have to lose 2 stone to get that but I haven't had my after Christmas weigh in yet. So to sum up I have had an amazing Christmas and I'm prepared for weigh in, in two days time. 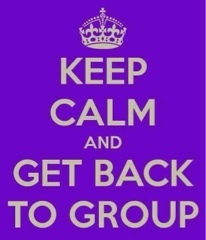 If you're in Slimming World and have had a bad Christmas get back to group and stay for the meeting, you'll get the boost you're needing to get back on it. Alternatively if you have put on some weight on over Christmas that you are not happy about or you want to start 2012 a new person, why not get down to your local slimming group? If you don't know where that is you can go on the website www.slimmingworld.com and search by your postcode or even easier use the iphone and Android app! I guarantee you will get a warm welcome and ton's of support, you will get the help you need and an easy way to do it. I can honestly say that this is the easiest diet I have ever been on and the most successful by far! So come on and take that first step to the new you! I'll see you there! !